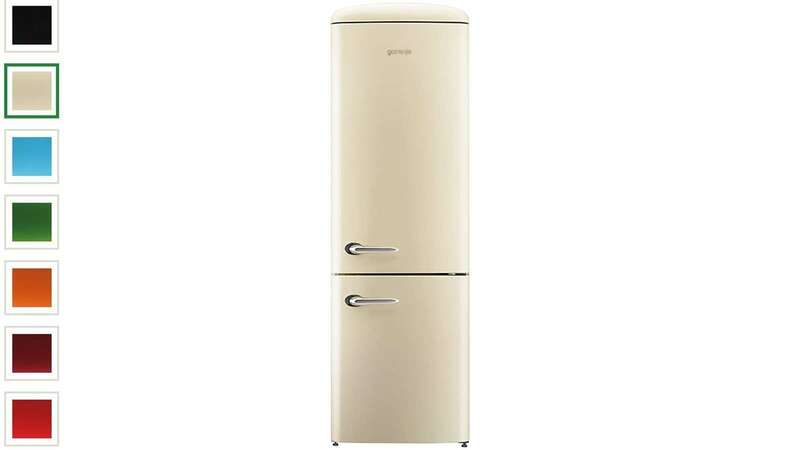 A fridge freezer is comfortably the biggest unit in a kitchen. Yet a lot of people buy on specs alone and it’s madness. If you’ve spent thousands of pounds designing the perfect kitchen, you shouldn’t scar it with a fridge that doesn’t fit in. Here is a roundup of the best retro fridges 2018 to help you buy the right American-style fridge-freezer for your kitchen. Design is really important when buying a fridge, but you shouldn’t completely ignore the specs. Here we’ll break down what you need to consider when buying a beautiful retro fridge. See also: Best headphones for sleeping 2018. Energy: The first thing you should look at is the energy rating. This is easy enough as all sellers in the UK display how energy efficient they are on an alphabetical scale. Needless to say, you want a retro fridge with a rating as close to A++ as possible. Here’s a quick break down of what the letters mean (annual energy consumption in kW·h). If you have the money to spare, you should pay really close attention to this. Some of the cheaper fridges may look like they have competitive energy ratings, but a bad energy rating could end up costing you £50 a year, for example. 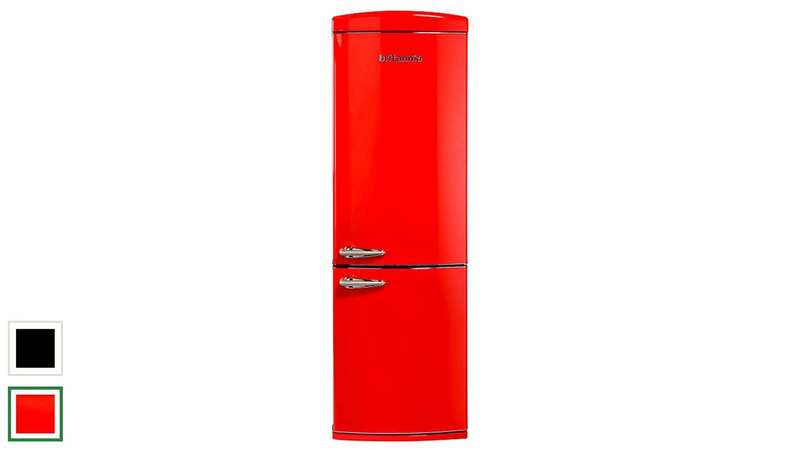 Most fridges have a lifespan of at least 10 years, which means that energy rating could end up costing an extra £500… and that’s if you only keep your fridge for 10 years…and if retro fridges don’t go out of fashion. Temperature display: The next thing you want to consider is what features does the machine have? Is there a temperature display? Do you want this displayed internally or externally? Size: You obviously want to make sure the retro fridge freezer fits in your kitchen but you should also research the fridge freezer split. Do you want a 50/50 split or 70/30? 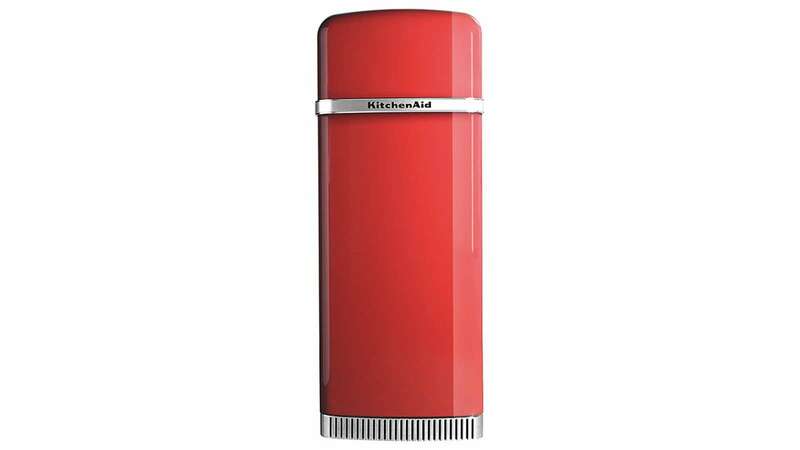 If you want to get really thorough you should check the litre capacity of both the fridge and freezer and compare it to rivals (and what you have now). Where is the hinge? It’s also worth double checking which way the door opens. 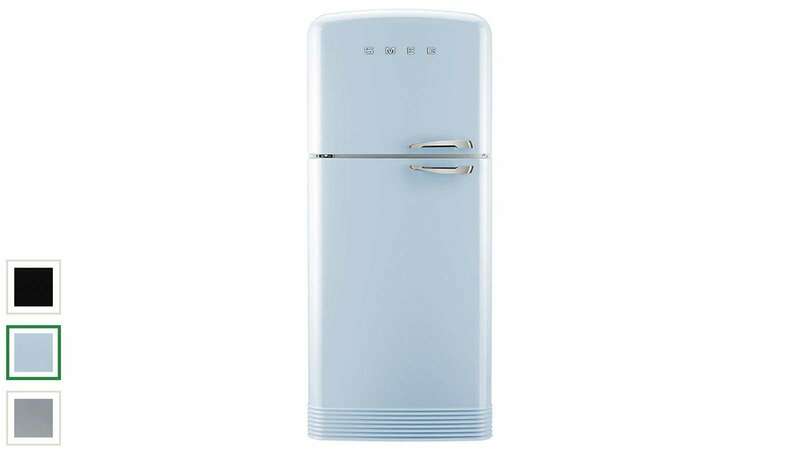 A lot of American-style fridges have an external handle, so they only open one-way. Make sure you check which side the hinge is on before you buy. Note that most retailers will over the same model number with both a left-hand and right-hand hinge. Make sure you order the right one! Noise: If you spend a lot of time in the kitchen, few things are more annoying than a loud appliance. Brands (good ones) now display how noisy its fridges are. Any fridge that is quieter than 40 DB is outstanding. We suggest you avoid buying any unit over 45 DB. Colour: Bizarrely colour can make a huge difference to the price. 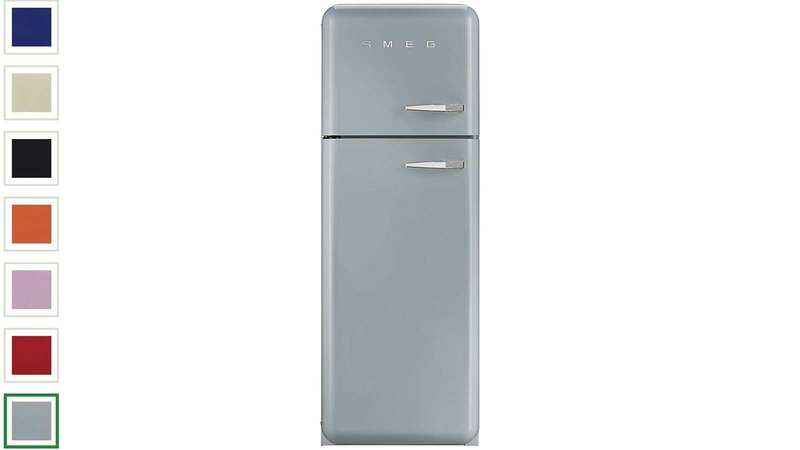 A pastel blue version of the Smeg Smeg FAB50R is £500 cheaper than the silver version of the same model (accurate at time of writing). Got a Mac? Check out the best Mac Antivirus software of 2018.